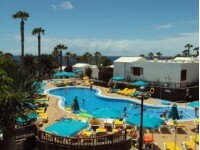 Located on the front-line Playa Flamingo Development in Playa Blanca, 15 Playa Flamingo is a 2 bedroom apartment, close to Flamingo Beach and therefore ideally suited to couples and small families not lookig to hire a car. With 2 bedrooms, 1 Double, 1 Twin and 1 Bathroom, it can comfortably sleep four people. The kitchen with cooker (Oven/Hob), Refrigerator, washing machine and iron/ironing board. Other facilities include Cable/Satellite TV, Music System, Safety Deposit box and use of a shared communal Pool. 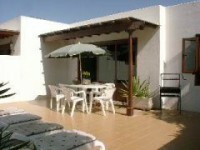 Like all of our villas, it is furnished to a high standard and welcomes young children & babies. 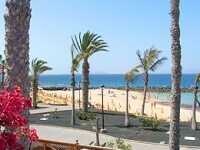 From �425 per week (2 Sharing Low Season), this apartment can be hired by calling John or emailing us."